From the point of view of developments in the “game” of global politics, the most interesting thing about the recent Group of Twenty (G-20) summit, held in Buenos Aires from November 30- December 1, was not so much the forum itself, but the moves made by the main participants on the sidelines of the event. These moves were made in the course of two- and three-party meetings between leaders of major world powers. And the fact that Donald Trump and Vladimir Putin did not meet on a one-to-one basis, was in itself an important act of the game. The official talks between the US and Chinese leaders (as opposed to informal contacts on the sidelines of the event) are particularly worthy of note. These talks dealt with the far-from-simple relations between the US and China – relations which are, increasingly, taking centre stage in the unfolding drama of international politics. 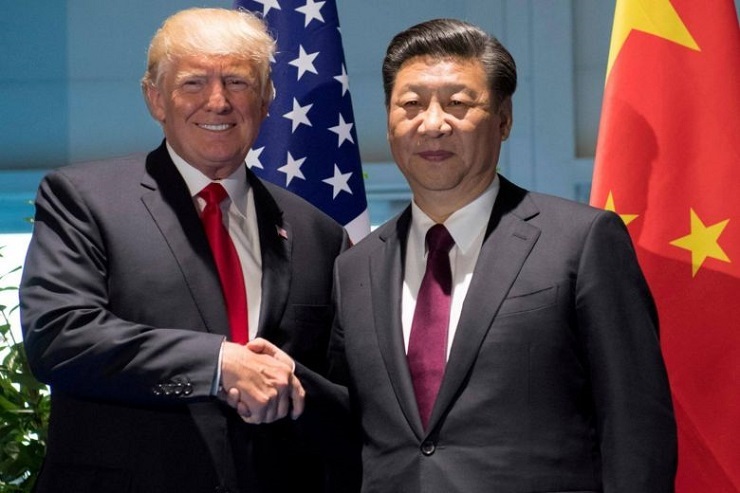 These two major powers disagree on a wide range of matters, but currently the most significant of these relate to trade and the global economy. The US and China have exchanged a number of lunges in the last six months of so, in what could be described as the beginning of a trade war. This dispute has already affected half of the US’s total imports from China, and Washington claims that there is a “high likelihood”, that, starting from the beginning of next year, it will impose tariffs on the other half (which is worth some 250 billion dollars). We are now seeing the first indications that the trade war is not just having negative consequences for China but also for the US, and on the global economy as a whole. Respected sources have called on both world powers to “turn down the heat” and try to resolve their differences through negotiation. Following Donald trump’s talks with Xi Jinping in Buenos Aires, Washington has responded to these calls by delaying the imposition of any new tariffs on Chinese imports for three months. This delay is dependent on some very specific conditions, which were advanced to Beijing. Above all, China must (“as quickly as possible”) reduce its own tariffs on goods imported from the US, including cars and soya. China must also put an end to its “theft of intellectual property” – a practice that the US has repeatedly accused China of. As far as can be gathered, the agreement reached in Buenos Aires is very general in its terms and the specific details will be discussed by the two countries’ special representatives on future occasions. The only specific figure that has been reported so far is an impressive one: apparently China has agreed to purchase an “additional” 1.2 trillion dollars’ worth of goods from the US. However, there is no mention of when those purchases are to be made. There have also been reports of a certain memorandum of understanding agreed by a number of Chinese state bodies at the ministerial level which deals with revealing of “unreliable subjects in the field of intellectual property”. However, the Associated Press Agency describes that response by China to Washington’s ultimatum as “a vague promise”. Most predictions concerning the possible development of the trade war after the end of the three-month “ceasefire” tend to be rather pessimistic. And there is good reason for such pessimism, given the general atmosphere of distrust in relations between the US and China, which has not been dispelled by the meeting in Buenos Aires. Less than a week after the meeting between the two great global powers on the sidelines of the G-20, ministers of the two countries were exchanging angry rhetoric- albeit at a distance. This angry exchange of outbursts was provoked by an aggressive speech made by US Secretary of State Mike Pompeo in a summit of NATO ministers, which was directed at China, as well as Russia and Iran. A number of other significant meetings took place on the sidelines of the G-20 summit, including those between the other main players in the Indian and Pacific Ocean region. Specifically, the meetings between the Indian and Japanese Prime Ministers, and the Russian President. Here it is impossible not to be reminded of the infamous “Group of Four” – the proposed military and political alliance between the US, Japan, India and Australia , which has appeared on the region’s negotiating table a number of times over the last ten years, but which has never come to anything. The reason why this project keeps appearing on the horizon, and then disappearing again, is clear. The US, Japan, India and Australia are all concerned about China’s emergence as the number two world power. On the other hand, for each of these four countries, China is also a major -if not the major- trading and economic partner. They are therefore very careful not to spoil their relations with China. Shinzo Abe’s decision to “plead on China’s behalf” in his one-to-one meeting with Donald Trump in Buenos Aires therefore looks rather strange. According to reports, the Japanese Prime Minister asked his American counterpart to somehow “sort out” the trade dispute with China. In doing so, Shinzo Abe found himself the object of the US President’s latest outburst of rage. The latter’s reaction, by the way, is understandable: almost all of the US’s trading partners do all they can to outmaneuver the leading world power. Japan makes some 70 billion dollars a year from its trade with the US. A month earlier, in a meeting between the two presidents on the sidelines of a session of the UN General Assembly, Shinzo Abe promised to “address” the trade imbalance. In Buenos Aires Donald Trump urged him (just as he had urged the Chinese leader) to take the necessary measures quickly. He also expressed appreciation of, and praised Japan for its decision to buy an “extra” consignment of the latest US F-35 fighter jets. However a representative of the Japanese Ministry of Defense said that this matter was still being discussed and that no final decision had yet been taken. Both Shinzo Abe and Narendra Modi held bilateral meetings with the Chinese leader, which went very smoothly. The Japanese Prime Minster thanked Xi Jinping for lifting China’s ban on the import of rice grown in one of the 10 Japanese prefectures that had been most affected by the disaster at the Fukushima nuclear power plant. When asked to lift the ban on the import of produce from the other nine prefectures, the Chinese leader said that this issue would be considered by the official Chinese responsible for such matters. In the meeting between Xi Jinping and Narendra Modi, both sides expressed satisfaction with the state of relations between China and India and the prospects for their future development. If a single general conclusion can be drawn from the various meetings between leaders of major world powers that took place on the sidelines of the G-20 summit in Buenos Aires, then it would be that these talks represent a brief pause in the worrying tendencies that are currently evident in international politics. It remains to be seen what use the main players on the international stage will make of this pause.